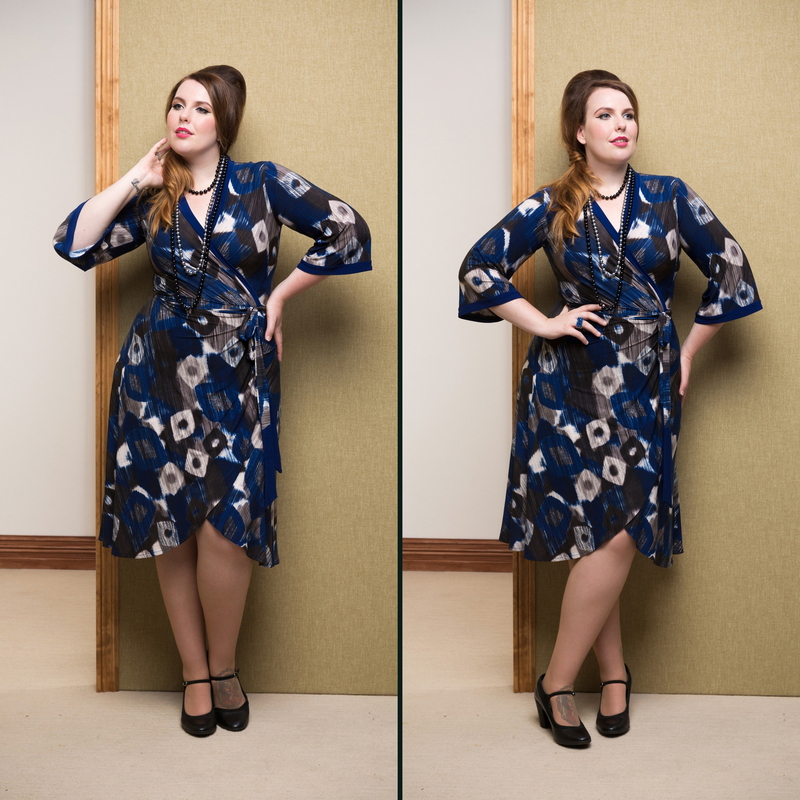 Suzie is wearing the Miss Moneypenny Wrap Dress in the 1960s inspired print MOD. This transeasonal dress features a built up neckline and elegant 3/4 bell sleeves with contrasting border. This understated print has the perfect winter tones.